The field of radiologic science is expected to grow rapidly in the next decade, and current trends predict a 13 percent increase in radiologic science jobs in the US by 2026. 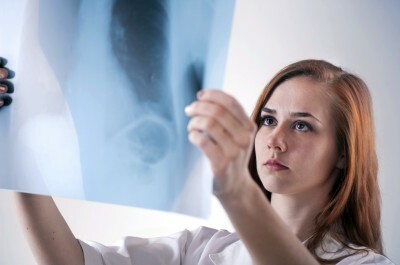 Maryland is a great state in which to pursue this promising career, offering a variety of education options and many large employers in the field of radiology. It’s a relatively expensive state in which to live, and a job in radiologic science promises a good salary and benefits for professionals who want to reside in the Chesapeake Bay State. The average annual salary for radiologic science professionals in Maryland is well above the national average, at $66,520 compared to $60,320. This salary for the industry is also above the average annual Maryland salary of $57,270. In this comparatively affluent and expensive state, a career in radiologic technology can still afford a solid career, but it may be more worthwhile for Maryland professionals to earn a BS rather than an AS so that they are qualified for better paying positions. More information on Radiologic Technologist salaries in Maryland. All practicing radiologic science professionals in Maryland must be licensed through the state Department of Health or the American Registry of Radiologic Technologists (ARRT). Nuclear medicine practitioners must be licensed through the Nuclear Medicine Technology Certification Board (NMTCB). All professionals in this field with the exception of radiologist assistants must practice under the supervision of a physician. Maryland does not recognize limited licenses, and requires all X-ray technicians to be licensed by the ARRT. Notre Dame of Maryland University: Notre Dame of Maryland is a private Catholic institution that offers both a baccalaureate degree in Radiological Sciences and a pathway to clinical certification through its program partnership with The Johns Hopkins Hospital School of Medical Imaging (JHSMI) for those seeking to become licensed medical imaging technicians. The program provides students with experience in various forms of medical imaging, qualifying them to work in more advanced radiologic science positions at hospitals and diagnostic laboratories. 14 and 18 month clinical certification programs are offered in Radiography, Nuclear Medicine Technology, Diagnostic Medical Sonography, and Echocardiography. Chesapeake College: Chesapeake College was the first community college on the Eastern Shore of Maryland. This school offers an Associate of Applied Science (AAS) degree in radiologic sciences. The program takes a minimum of six semesters or 24 months to complete, and graduates are eligible to sit for the ARRT licensing exam. Although Chesapeake College is an open-access institution, the radiologic science program is competitive due to a set number of clinic rotation spots. Montgomery College: Montgomery College is a Maryland community college with campuses in Rockville, as well as Germantown and Takoma Park. This school also offers as AAS degree in radiologic technology. Students in the department are first considered to be pre-radiologic technology until they complete their preliminary subject matter and receive official acceptance into the associate program. The Radiologic Technology program accepts students once a year with a summer start date. Anne Arundel Community College: Anne Arundel Community College offers a two-year, seven-term Associate of Applied Science (A.A.S) degree in Radiologic Technology. Students also are eligible to sit for the National American Registry of Radiologic Technologists (ARRT) exam and to apply for Maryland Licensure. Graduates of the Radiology program also are eligible to take the noncredit, 40-hour didactic course in mammography. During the program, students will be exposed to a wide range of technology in state-of-the-art labs, and diverse patient populations at 18 clinical sites. There are significant options to study outside the state in Philadelphia and other areas of Pennsylvania, limited options in Washington DC, Delaware and West Virginia, a broader offering in Richmond and other areas of Virginia, and Trenton, New Jersey. Large hospitals and medical centers in Maryland are the primary employers of radiologic technologists. These facilities typically utilize multiple technicians in their diagnostic radiology departments, and hospitals associated with universities may also employ radiologic science professionals in research and teaching capacities.